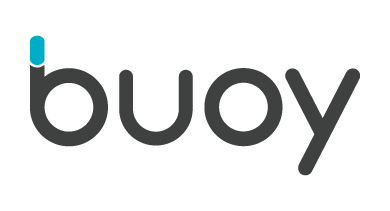 Buoy's rechargeable battery lasts 6-8 months, and takes just two hours to charge. If your Buoy is indoors and near a power outlet, you can plug it in and use the battery as backup. If your Buoy is outdoors or not near an outlet, you just pop out the battery when the app indicates your battery is low, recharge, and pop it back in two hours later. plug the charger into a standard outlet in your home. The battery will charge in two hours, ready for Buoy.